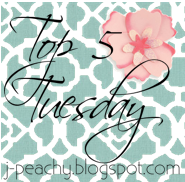 I'm linking up with Rachel today for her Top 5 Tuesday! Today's Topic: 5 Beauty Products I Can't Live without! there's just no going back after you try this stuff ladies. It's a little pricy, but it lasts. This eyeshadow set is so versatile.. it's easy to use, and I find myself experimenting with eyeshadow more now that I have it! Last year I blogged about "To Lipstick or Not To Lipstick" and a few weeks after the post, I took the plunge. I have become such a lipstick person. My make-up just doesn't feel complete until I have some color on my lips. Now go link up with Rachel and share what your top 5 are!! I linked up for this same thing and I too included an eyeshadow palette and since I'm so in love with mine.. I may have to take your suggestion and get the "Naked" one as well - I've only ever heard good things about it! I just ordered the Naked 2 Palette! So excited to get it! I love my naked palette and my bare minerals foundation. Best things evah! I have both Naked palettes & LOVE them. Haven't heard about Julep lacquers though, but am definitely giving them a look. Love the shades you pictured! Every time someone posts about a Naked palette, I want to go out and buy it! Do you think its worth the money?? I haven't changed my eye shadow in YEARS...lol should I get on the Naked bandwagon? Have you tried the Revlon Lip Butters? They're pigmented lipsticks but they're really glossy and not as thick as lipstick/drying. I LOVE them! I have Sugar Plum annd.. a pink one. Don't remember the name hah sorry but you should definitely try them! I am so obsessed with my Naked palette! That's one of my favorite mascaras!! Love tha Naked pallet just haven't brought myself to pay for it yet.